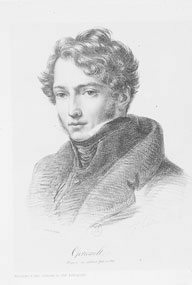 Théodore Géricault (1791- 1824) was a spectacular success at the early age of twenty one. His painting, “The Charging Chasseur” exhibited at the Paris Salon of 1812, was the perfect embodiment of the confidence of the Napoleonic state. Géricault captured the moment. His Charging officer up on the horse in his richly colored uniform in the midst of battle was the perfect vision for the French public in 1812. It would not last. Already the Russian disaster was beginning. But for one brief moment Géricault’s soldier rode to the top and carried the painter with him.